TURN THE TOWNS TEAL’S President, Jane MacNeil, was honored to receive the 2017 TEAL CHAMPION AWARD in recognition of her contributions to the fight against Ovarian Cancer. The award was given by the Janice Lopez Ovarian Cancer Foundation. The Lopez family raises funds to support research for ovarian cancer, to provide transportation for ov ca patients and helps fund a support group for ov cancer. 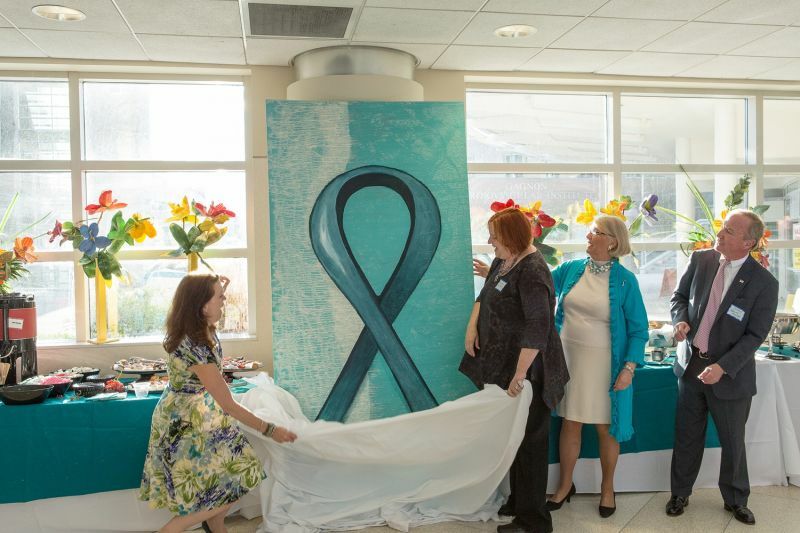 A reception was held at the Carol G. Simon Cancer Center to pay tribute to the legacy of Gail MacNeil, founder of Turn The Towns Teal®, AND, to unveil the 8’ X 4’ painting entitled “The Teal Ribbon”. The artist, Kristina Lloyd, was a childhood friend of one of the MacNeils’ daughters, and she always thought of Gail as a second mother. She was so inspired by Gail that she created this painting in her honor. The painting is in the Women’s Cancer Center within the Carol G. Simon Cancer Center in Morristown, NJ. 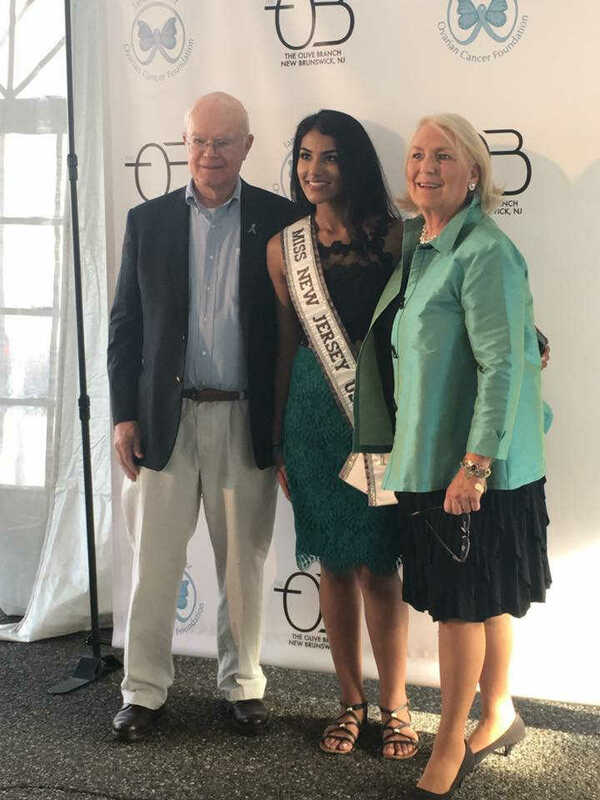 Congressman Rodney Frelinghuysen, the Honorary Chairman of Turn The Towns Teal®, presided over the unveiling. If you have a photo to share from the Turn The Towns Teal movement, please upload your images below. Please note that you can upload a maximum of 20 images per submission and each file must be under 5mb in size.